Real Madrid had a difficult summer this year as they lost Zinedine Zidane as manager and sold star player Cristiano Ronaldo to Juventus. 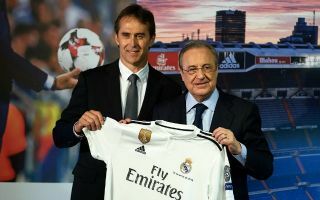 On top of all that, it seems the Spanish giants also badly struggled to get the new manager they wanted as they eventually hired Julen Lopetegui after his exit as Spain boss. Still, it seems they had as many as five names ahead of Lopetegui in their thinking, with Don Balon claiming Barcelona star Philippe Coutinho has learned who those were. The report goes on to list a number of big names who would surely have been better choices if they’d been able to snap them up. They are as follows: Liverpool’s Jurgen Klopp, Tottenham’s Mauricio Pochettino, Juventus’ Massimiliano Allegri, Germany’s Joachim Low, and former Chelsea boss Antonio Conte. Klopp and Pochettino have not won anything at their respective clubs, but have won the admiration of many with their innovative tactics and ability to punch above their weight against richer rivals like Manchester City, United and Chelsea. Who's going to win La Liga this season? Allegri, meanwhile, has been a big success at Juventus, Low won the World Cup with Germany in 2014, and Conte did great work at Juventus before also winning the Premier League in his first season at Chelsea, followed up by an FA Cup in an admittedly less impressive second season. All arguably have a great deal more experience at the highest level than Lopetegui, who has not done too well so far at the Bernabeu after a disastrous recent run of four games without scoring a single goal.